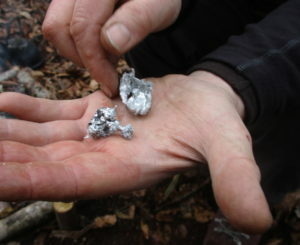 Playing with pewter seems to have become the thing to do in Forest School circles, I imagine this is thanks largely to a great blog post by Lily Horseman of Kindling Play and Training. 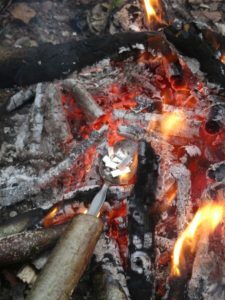 Inspired by this we started messing about with molten metal…. 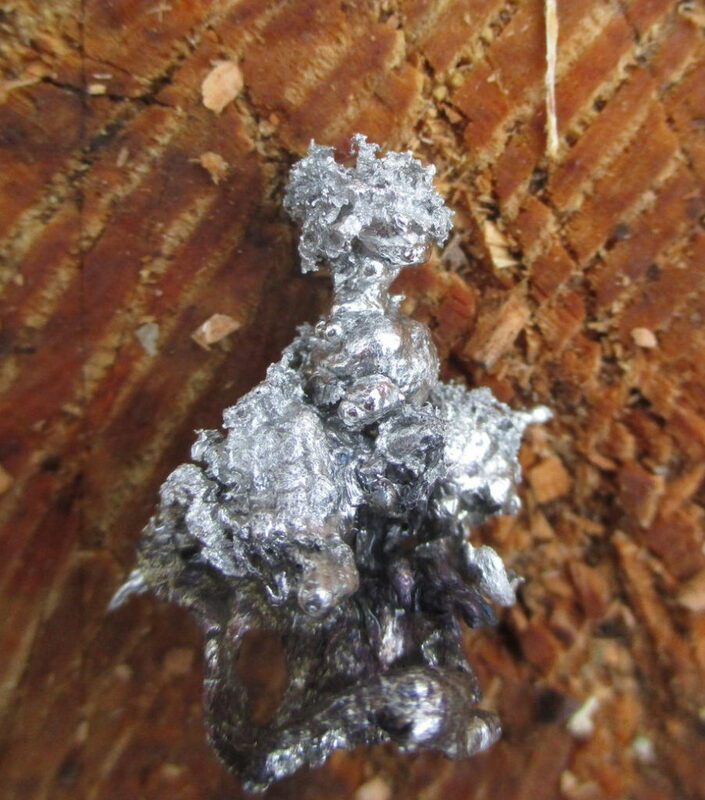 I bought some lead free pewter on ebay a few months ago and have been experimenting and learning about casting molten metal with participants on my most recent Forest School Training courses. 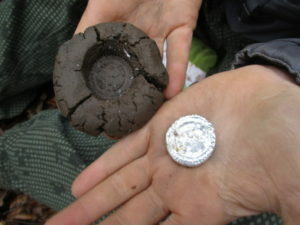 We have been making moulds with clay dug on site and making imprints with natural objects such as acorns and leaves as well as sculpting shapes using knives, pegs and sticks. 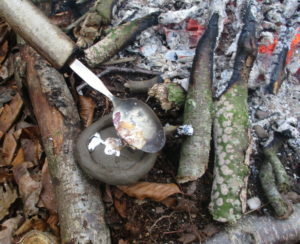 There seems to be an optimal size of object which can be cast using the improvised desert spoon crucible and although pewter is a fairly expensive raw material for craft, you can always re-melt your mistakes and try again. This iterative process of experimentation and review within a small group is a great example of an experiential learning cycle in action. 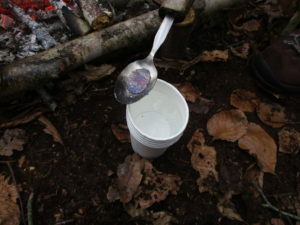 This New Year, I remembered the Austrian New Years Eve tradition of Bleigiessen (lead pouring) that I was introduced to by friends when I lived in Vienna nearly 20 years ago. At the end of the year people buy little pewter shapes and special pouring spoons and melt the objects on the gas hob at home. 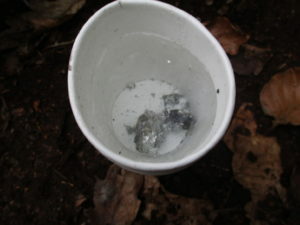 The molten metal is poured into a cup of cold water and cools rapidly after some dramatic spluttering and hissing. The resulting shapes are then interpreted to predict your fortune for the year ahead. The technical name for divination with molten metal is Molybdomancy and you can consult a table of meanings like this one to read the shapes or just make them up for your friends, which I think is more fun. I’m sure that we see what we want to find, but I have been getting ancient pollarded Oak trees with surprising regularity. Hopefully an indication that I will live to a gnarly old age and not that I’ll be hollowed out, riddled with fungus and laden with bryophytes! Sounds like a great Halloween activity…a bit of Witchy fortune telling! or make a talisman to ward off witches!